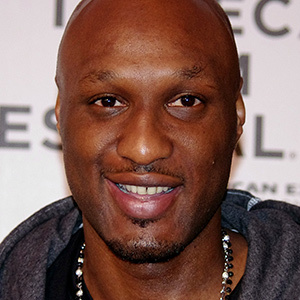 Professional basketball player Lamar Odom is sometimes known as “the candyman” because of his notorious fondness for sweets. But when his sweet tooth finally caught up with him — in the form of a mouthful of decayed teeth — the six-foot-ten-inch, 230-pound hoops star admitted that he had been avoiding treatment… because he was afraid of going to the dentist! It took two Kardashians (Khloe and Kim) and a painful toothache to finally persuade Odom to sit in the chair. Once he did, it was found that he needed a root canal, a wisdom tooth extraction, and several fillings. Yet the fretful forward sailed through the whole set of procedures in a single visit, and walked out with a big smile afterward. How did his dentists make that happen? Put it down to the “magic” of sedation dentistry. With anxiety-relieving medications that can be delivered orally (in pill form or by gas) or intravenously (into the bloodstream), the techniques of sedation dentistry can help even the most fearful patients get the dental care they need. That’s good news for about 50 percent of the population, who admit they’re at least somewhat afraid of the dentist — and even better for the 15 percent who avoid dental care completely due to their fear. Dentists have a number of ways to ease apprehensive patients through a dental visit. An oral anti-anxiety drug can be given in pill form about an hour beforehand. Nitrous oxide (sometimes called “laughing gas”), which is administered by a mask placed over the mouth or nose, may also be used to relieve anxiety. The calming effects of these medications help make any nervousness melt away — and in many circumstances, mild sedation is all that’s needed to ease the fear. For lengthier or more complex procedures, intravenous (IV) sedation may be recommended. Unlike deeper (unconscious) sedation, IV sedation doesn’t cause “sleep.” Instead, it puts you in a comfortable semi-awake state, where you can still breathe on your own and respond to stimuli… but without feeling any anxiety. And when the procedure is over, you probably won’t have any memory of it at all. IV sedation can be administered by dentists who are specially trained and equipped with the proper safety equipment. While sedation is being provided, you will be monitored at all times by a dedicated staff member; when it’s over, you will rest for a while as the medication quickly wears off. Then (as is the case with oral sedation), you’ll need another person to give you a ride home.